Cornbread is the perfect base to make a delicious muffin to go with a variety of meals from salads to soups to chili or fish. If you are not careful though, you can end up with dry cornbread or one with too many calories. I think I have found a solution for keeping the calories very reasonable while also providing a flavorful and moist cornbread. I add whole kernels of corn to the recipe. It seems to keep it from getting too dry and adds flavor with texture. Combine the first 6 ingredients in a medium bowl, mixing well. Make a well in the center of the mixture. Combine the buttermilk, egg substitute, and oil. Add it to the dry ingredients, stirring just until the dry ingredients are moistened. Spoon batter into muffin pans coated with cooking spray and heated for 10 minutes in the oven. Fill 2/3 rds full. Bake at 425 for 18 minutes or until muffins are golden. Remove muffins from the pan immediately. This muffin can be served with any meal. 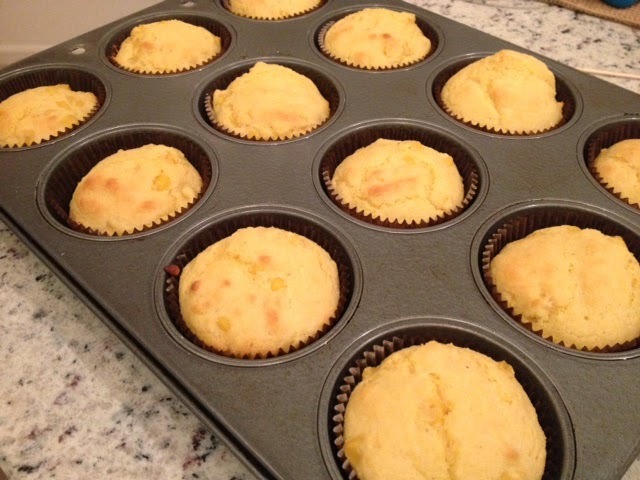 As a basic cornbread, you can bake it as is or add additional flavors depending on your mood and meal. Spices are the easiest addition like a tablespoon of fresh rosemary or sage. You can make it with some heat as well by adding 1 teaspoon chili powder. Experimentation is encouraged. Try the cornbread with a grilled Trout Dinner, or another whole fish you can buy at your grocery store, for a great meal with fabulous flavors. To complete the meal serve it with a simple tossed green salad with my light vinaigrette.